A random bit of Mr. T’s personal writing, discovered on the kitchen table. I’m going to start this post with a dubious act. In order to explore why mentoring might be preferable to teaching when it comes to writing, I’m going to share an article with which I fundamentally disagree. This Atlantic article came to me last week when I found myself in a brief Twitter conversation with its author, Robert Pondiscio, a former elementary teacher and current vice president of the Core Knowledge Foundation. (I opted out of the conversation early on because I simply didn’t feel like arguing with the man.) Pondiscio’s organization promotes a very specific curricular outline that (from their website) “provides a clear outline of content to be learned grade by grade so that knowledge, language, and skills build cumulatively from year to year.” The foundation supports the Common Core Standards Initiative, which you may have heard about: a controversial plan to bring public schools in all U.S. states into curricular alignment, so that every kid, in every classroom, in every state in the U.S. can learn the same basic body of knowledge. Forty-five states have already adopted the plan. It’s an approach to education that’s about as far from interest-led homeschooling as you can get. Because you may not care to read the article, let me summarize: Pondiscio was a fifth grader teacher in “the lowest-performing school in New York City’s lowest-performing school district.” He used a daily reading and writing workshop in his classroom—and later decided that this was a terrible idea because it prevented students from learning vocabulary, grammar and the mechanics of writing. Did you catch that last line? And if this is not explicitly taught, it will rarely develop by osmosis among children who do not grow up in language-rich homes. (I do not entirely disagree with Pondiscio here. Although I still believe that underprivileged kids should be encouraged to write from personal experience. There are plenty of teachers sharing how this might be done successfully. For instance.) It’s that osmosis notion I want to direct you toward. And if this is not explicitly taught, it will rarely develop by osmosis among children who do not grow up in language-rich homes. What’s the implication? That kids who grow up in language-rich homes can pick up what good writers do by osmosis. Understand something important, dear reader: If you are reading along here, your child is almost certainly growing up in a language-rich home. You likely read aloud to your child, day after day. You make regular trips to the library. You let your child interrupt your reading and talk about what they notice. You discuss books and movies and news stories. You make up riddles and puns together. Your child has questions and opinions and you respond to them. Together you research instructions for making books, or quilts, or Minecraft servers, or catapults, or insect traps, or blogs, or hexa-flexa-mexagons from tortillas. Your child is immersed in a world of words and communication. Your child is almost certainly developing a writer’s skills via osmosis. You cannot underestimate the power of this. People who draw up educational standards, who design writing curriculum and textbooks are trying to meet the needs of all students. Because some students may not come from language-rich homes, they develop materials that attempt to make up for this. Since all students don’t likely have that osmosis thing going for them, these standards-writers and textbook authors try to mimic it by breaking learning down into a set of skills, and then distributing those skills across a series of school years, in the hope that this will guarantee the sort of mastery that kids who learn in language-rich homes pick up naturally. This is a second-rate, artificial formula for learning; a poor imitation of the learning that happens via immersion and engagement and osmosis. Although our own school experiences may have led us to believe otherwise, writing is not a series of skills that must be learned in a particular order, and at a particular age. Isn’t it funny that the skills we learn before we typically reach “school-age”–skills like walking and talking–are left for us to learn at our own rate, and in our own way? And we almost all manage to learn them! Yet the skills that tend to develop after age five, skills like reading and writing, are hijacked by professionals, with rules about what ages we should acquire them, and in which manner? This is the teaching approach in a nutshell. “Professionals” and other adults decide what a student should learn, and when, and how. The focus is almost always on preparing the child for the next stage, for the next set of necessary skills. Little faith is given to the child’s ability to develop and learn in an individual way. There is no sense that helping the child with his or her current stage or set of interests might be enough, that this will allow a child to develop naturally into something more complex. The teaching approach is all about a specific set of skills, skills, skills and a timeline to go along with them. The teaching approach can cause homeschooling parents to worry about their kids’ penmanship when they are seven, about their spelling when they’re nine, and about their ability to tackle academic writing when they become teenagers. The school model of learning can be tenacious, even if we think we’ve moved past it. Without meaning to, we may hold our children up to school standards, forgetting that those standards are merely a 13-year course of study designed teach a fixed set of skills to all students, regardless of background. I had planned to go on and contrast the teaching approach to the mentoring approach (using a writer rather than a curriculum writer as our mentor) but dang, I’ve rambled on! So let’s dig into the mentoring approach next time. Meanwhile, remember that even “professionals” like Pondiscio and his cohorts at Core Knowledge, who claim they can break down learning into predetermined chunks of necessary knowledge, recognize that kids like ours are different. They “know stuff.” And I’m here to remind you that kids like ours don’t need to follow a school’s curriculum, or a writing textbook’s curriculum, or anyone else’s curriculum. They are learning and progressing and intuiting the skills of writers every day. What they really need is a mentor. Please keep sharing your thoughts and concerns in the comments. Have you ever held your child to school standards when it comes to writing? Which writing “skills” do you worry about? Have you been able to move beyond your concerns? What have you learned from your child? You can read all posts in this series here. Great post. Is the Common Core being pushed by Big Textbook Publisher interests, by any chance? It certainly has been good for the testing companies! They’re raking in the money at children’s expense. I was a public school teacher for over 15 years and the last 5 of those were breaking my heart because of what all of this standardization was doing to the students as well as the teachers. I am so grateful that I have the opportunity to homeschool my two daughters. Lori, I have talked to many, many teachers that feel that standardization and testing are ruining all that is good in their classrooms. I was lucky enough to stop teaching before the shift started. I’m so glad to have been able to homeschool too. I worry, though, about what’s happening to public school kids in this country–which is to say most of the kids in this country. Why should even kids who don’t grow up in language rich houses be subjected to this? As a public school teacher I provide a language rich classroom for my students who don’t have this at home and they still make amazing progress. Just because I’m a “teacher” doesn’t mean I agree with Core “Knowledge”. Jennifer, I’m a former teacher myself, and I certainly don’t mean to imply that all teachers agree with core knowledge or other sets of standards. Perhaps you missed my aside: “There are plenty of teachers sharing how this might be done successfully” with my link to the fantastic work of Jeffrey Wilhelm and Michael Smith. I could have listed a roster of others. I know that there are many, many teachers associated with the National Writing Project, as well as others, who are fighting against this tide of standardization and testing, and who continue to teach writing in meaningful ways. I applaud those teachers and their work, particularly because I know it isn’t easy to go against this relentless drive for standardization. I could write on an on about how heartsick I am with what has been happening to writing in public schools–and how challenging it’s becoming for effective writing teachers to do what they do best. (In fact I tried to pitch just such an article to a magazine this past year.) Still, my audience here is mostly made up of homeschoolers, many of whom are intimidated and confused by school standards. My goal is simply to help these parents understand that the rich environments that they provide for their kids offer more than they may realize. Keep doing your good work! I hope that our government comes to realize that teachers are professionals, and that they should be allowed to act as such. Education policy seems to be moving further and further away from that notion. Oh, standards! My daughter (briefly) attended a Montessori charter school. Although I understood that standardized tests were the norm in her school (a public school), I was still surprised to learn that children as young as seven were tested for “academic proficiency.” But then what really floored me was the way in which they were testing our daughter—using language that she didn’t understand (or wasn’t explained well enough to her)—so that our very bright child (absorbing lots at home through osmosis!) walked out of the building feeling stupid. What an incredibly bizarre system. My heart hurts for those teachers who are trying to go against the grain of increased standards! Don’t get me going, Zane! The whole standardized test tidal wave sickens me. I know that most teachers aren’t for it, and most parents don’t want it. I keep hoping the tide will turn, but there’s so much big money behind this movement that I don’t see that happening any time soon. I’m glad to be able to homeschool, but most kids in our country don’t homeschool, so it matters to me. I do a slow burn when people imply that children from low income homes have nothing to offer–that’s what they’re really saying. I’ve never met a kid, from any kind of home, that didn’t have an imagination, ideas, thoughts, wishes, and fears. They have stuff to write about! Instead of creating a list of core standards to follow, the schools should be creating environments that replicate language rich, nurturing homes. And, of course, core standards will not make up for the America’s shameful poverty. To expect those students to leave their lives at the school door and learn the same set of standards that every kid across the country is learning is narrow-minded and pathetic. yes! thank you for writing these ideas so coolly and succintly. i’m also inclined to believe that everyone “knows stuff.” why does the system claim the student is missing something essential when it is the system that should be serving these children? that our system seeks to squash individual difference rather than exploit diversity is sadly telling. Yes, Janet, and this is particularly troubling because researchers and people in the know tell us that for life in the future, today’s kids need to develop adaptability and the ability to think differently. That the school system is headed in the utterly opposite direction is ironic and unthinkably sad. Yes, Heather, I’m glad that you got my point. I wasn’t trying to get readers distracted by standards and such (although when you homeschool, it’s good to know what’s going on in schools, if for nothing more than reassurance!) This line of yours is so insightful: “Just as those less fortunate children are told their experiences don’t count, I hear others told that they cannot replicate or offer what institutions can.” Yes. What homeschoolers need to be reminded of is that they don’t *need* to replicate it. Thank you Patricia. They know stuff. I need the reminder. I am having great fun delving into your blog. Thank you for this brilliant reminder that by providing fertile soil our children will send down roots and grow (perhaps in ways we may not predict). When I look at the Core Knowledge books or other lists of what my child should know by now, it’s easy to panic. But when I think of what she is learning and knows (perhaps in other areas), or her skills (what she can do, rather than what she knows), I feel more confident. Books of standards and “what kids should know” are toxic for homeschoolers. They undermine everything good we naturally see in our kids. Love this, Lisa: “But when I think of what she is learning and knows (perhaps in other areas), or her skills (what she can do, rather than what she knows), I feel more confident.” Yes! If we want more than cookie-cutter educations for our kids, we need to stop looking at other people’s recipes. 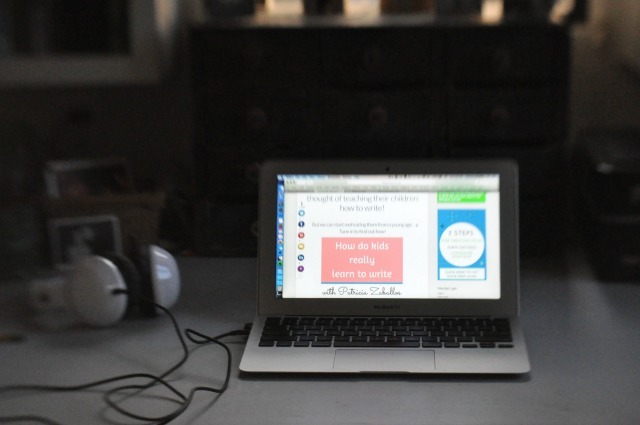 is the only way around all of this standardized testing to independently homeschool? i am curious because we homeschool through a charter and we are certainly not spared all of the core knowledge and benchmark testing. it is extremely frustrating. we try our best to not place our focus on this at home but the pressure is there. elementary kids testing for two and a half hours. intervention to develop ‘skills’ that aren’t quite up to par. it is increasingly hard to swim against this tide. when you reference homeschooling, does this just mean independent homeschoolers? i’m just very curious how everyone else is handling it all. love your posts! thank you! Thank you for bringing up such a good point, Nona. I often forget that many homeschoolers live in states in which they are not free of standards, or they participate in charter schools which impose them. Are you required to participate in a charter? I ask because here in California, parents are free to homeschool as they wish–they simply have to register with the state as a private school. Still, many homeschoolers here choose to participate in charters. In which case I would ask: does the charter allow you to homeschool as you wish? Or does the charter undermine your beliefs or practices or intuitions about your child? If so, and if it’s a choice, you might seriously consider whether the charter is worth it. For those who live in states or situations in which charters or Department of Education-imposed standards are required, it’s harder. I encourage these parents to examine your beliefs and come up with a firm sense of what you want your child’s education to be. Write it down. Read the work of others with similar beliefs to empower you. And then pay as little attention to those standards as you possibly can. If your child must take state tests, then have them do it, but help them understand that it’s just a required exercise and it doesn’t matter. Explain that there will be parts of the test that won’t make sense because the test covers information that you don’t value as a family and that’s okay. Tell them to make their best guesses and not to worry about it. Even if you absolutely must pay some attention to standards, give them a quick nod, do what is required of you and then try to put your focus on what matters to you and your child. You can still be a mentor to your child; you can still do all of the things we’ll be talking about in this series. Prioritize what matters to you and cultivate it. Take the standards for what they are, put them in their place and don’t let them muck up your vision. I hope that helps, Nona. Keep swimming against that tide. You can do it. We fall into the category of “charter” homeschoolers here in Oregon and as such, my kids are required to take yearly standardized tests in math and language arts. If we didn’t belong to a charter (which offers a generous stipend, an iPad and other benefits) they’d be required to test in 3rd, 5th, 8th and 10th grade. So…although I strongly disagree with standardized testing, the benefits of belonging to this particular charter outweigh the negatives considering we have to test regardless (although less frequently) and my kids are exposed to many classes and materials that we might not otherwise be able to afford. In regard to testing, this is the first year that my son has had to test and with no preparation other than our normal, child-led homeschooling approach, he aced both tests (which put many, many fears of mine at bay). That said, we were absolutely prepared to walk away from the Charter school if the experience turned out to be a negative one for him (or me). Melissa, I’m always tickled when you show up here! You were one of my first commenters, you know, back in the day! It’s interesting to hear what the laws are in other states, like Oregon. It’s great that you’re able to homeschool as you want to while participating in a charter–and that your son happened to do well on the test even though you didn’t worry about preparing him. I know that’s the case for many homeschoolers. They have live such educationally rich lives that they manage to cover many of the standards without necessarily trying to. Glad to hear that you’re still homeschooling, Melissa, and that things seem to be going well! I feel your passion Tricia! You know the subject matter of mentoring writers enough to take anyone on and present a logical argument about it, which is why I think you should aim to get your ideas in print in the New York Times. Your writing on this subject is excellent. More people (beyond your blog) need access to your information. 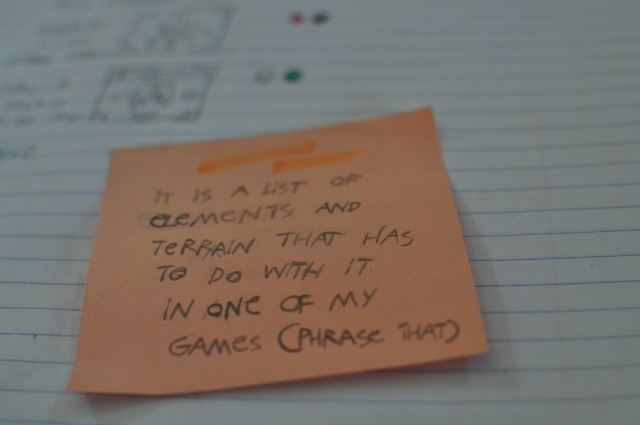 There are many ways to approach learning how to write; but the issue is enabling content to supersede the often limiting emphasis currently placed upon structure and grammer, which as of late is being crammed into youth until they have little confidence, interest, or ability in their written self-expression. I have an essay brewing on this topic–but it’s a big one. I still have never gotten over H’s high school experience writing that formulaic term paper on Sherman Alexie–after having met Alexie and sharing with Alexie his film on Alexie’s work–and then being utterly unable to include any of this in his term paper because the form was so restrictive. It’s such a good metaphor for all of the problems with typical writing education these days. I will write this thing eventually because it won’t stop burning inside me. I don’t think what I write will be up to par with the New York Times, but I appreciate your belief in me! I’ll get it out there somewhere. So enjoying this line of posts! I can’t stress enough how helpful (and freeing) it is to think of myself as a mentor! Not just for writing, but in all aspects of the lives of my children. I remember the papers I could write so easily because I knew what bull the teachers wanted to hear. My voice didn’t exist. And they were okay with that. I got an “A” every time. The proverbial pat on the head. I remember all the books I didn’t read because I was told I had to. It wasn’t until I became an adult – one long out of college (a long period of detox) – before I rekindled my love of reading. I went back and read those novels in my own way and in my own time. It was fantastic, rewarding and incredibly fulfilling. What people don’t realize is that these “rules” – these “academics” – teach our children more than just bad writing. It teaches them that success is measured by how other people see you. It teaches them that to be “right” is to be like everyone else, all with a five paragraph essay. It teaches them to squash themselves, let alone their voices. And later on, we wonder about their lack of passion. It’s way bigger than just writing. Our words are intimate. I certainly don’t want my kids to feel squashed and yet, I slip. I stumble and I find myself… telling. This mentor mindset is a must. “School” kills creativity. It is so true. Kids are not just vessels to fill. They are people to inspire. Keep up the good work, Patricia! I am inspired! Sigh. Imagine how useful it would be for kids to learn to organize their beloved tangents into something powerful. So glad you’re inspired, Nancy Carol. Your thoughts on why this is “way bigger than writing” inspire me. Last Friday, my 3 oldest kids (10, 7 and 5 y.o.) participated in their first Science Fair. My oldest did her Science Project on Cells and Creationism. My DS7 wanted to do something with explosions… so we did experiments to see how temperature affected the reaction of baking soda and vinegar. We got some major explosions! I will be posting a video on youtube soon. You get to hear him squealing with delight!! My DD5 did her project on the human skeleton because “we need bones, without them, we are a blob!” Who told her that?? I was amazed by how much they know. I helped them with the poster boards, and printing out the texts and cutting and pasting… but in the end, it was all their knowledge. They knew all this stuff by reading, listening, watching videos and talking and talking about it. My daughter told one of the judges, “I have been studying this for years.” And it’s true… she has been listening to audio dramas on Creationism for at least 2 years now. She devours anything science and related to animals. I don’t need any standard core curriculum or tests to tell me how much my kids know. If they were in school, however, they would probably be labeled behind, because they still struggle with spelling and writing. But I know they will master those skills too… how can they not to, when they live in such rich environment?? thank you for encouraging us moms! Isn’t it a wonder to see how much kids can teach themselves, Tereza? And they remember what they’ve learned! I’m always impressed with how much my kids retain–even if it’s something I’ve learned along with them. They always remember more than I do. Kids have such impressive minds. Your kids’ projects sound really neat. Squeals of delight and all! Can you imagine having to tell your kids they couldn’t pursue these interests because they aren’t on the list of standards for their ages? Required courses of study are limiting in so many ways. I havent read all the comments but from reading the first lot… Does anyone remember the Different Strokes episode when Willis and Arnold were tested to get into Mr. Drummond alma mater? The test was for rich ‘educated’ white folk. The boys didn’t succeed with this test and weren’t admitted. Then Mr. Drummond and the boys created their OWN test for the Headmaster and HE didn’t succeed! Hmmm! That was the late 70’s, early 80’s! Everyone has something to say, their own vocabulary and experience worth an ear! They simply need a trusting, respectful and encouraging environment to flourish! So kudos to those teacher who create these types of environments in their classrooms! And hooray for the option to homeschool! Ha, Sarah, I can’t say I remember that episode, but it’s not too far off of what happens with this testing culture. Oh, how I wish I had read something like this when I started home schooling way back in 2009. Growing up, I always wanted to be a school teacher. I set my homeschool classroom up in the way I had imagined it for so many years. My kids were 4 and 3 when we began. I didn’t choose a specific curriculum so to speak, instead I found cute little workbooks and built exercises off of what my kids were learning in their books. We even took walks once a week with digital cameras in hand to capture our color of the week for a collage. I really felt creative. As they have gotten older, and the curriculum has become more specific, I’m feeling more and more like a teacher and not so creative any more. I’ve been teaching writing since they were learning to write their letters. I want so badly to be their mentor and not teach, teach, teach. They both struggle with writing. So much disdain for it that they procrastinate getting it done for school projects. We use a computer based program that my dear husband paid greatly for just this year. Yes I can design it the way I want it but I’ve fallen into that lull that writing is imperative to their learning stage. They are 10 and 11 now and worry that I don’t have them on the “right track” or level that they should be. My biggest fear is failing them and their education. My daughter is a conversation writer, (i.e- I read a lot of she said, he said… Almost line by line in most cases) and the story becomes very confusing. Her punctuation and capitalization is almost non existent at times. My son, I feel, has the concept of writing but has a hard time, especially when given prompts, what to say on paper. He has such an amazing imagination and used to love making up little stories. Now, he sits, staring at his notebook paper with huge tears in his eyes. I feel so guilty. Thank you for sharing this in your blog. I can’t wait to read more!! Oh, Amber, don’t feel guilty! Homeschooling is a learning experience for the whole family–parents included! Nineteen years in, I’m still learning, still adapting. It’s never too late to switch things up, and try something new. You might take a new approach to writing for a while. Instead of worrying about levels and the “right track,” try putting some thought into how you might make writing enjoyable for your kids. Because if kids enjoy writing, the skills tend to fall into place. Did you read my post How Do Kids Really Learn to Write? 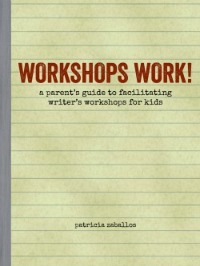 http://patriciazaballos.com/2012/05/31/how-do-kids-really-learn-to-write-2-0/ There are a lot of ideas there that might help you to make this shift. There are other ideas for helping kids find audiences for their writing towards the end of that How Do Kids Really post. I wouldn’t worry too much about your daughter not using punctuation and capitalization in first drafts. See if you can find places for her to share her writing, so she’ll want it to be more polished. She can go back and fix punctuation and capitalization before she shares it. Those skills are fairly easy to master if kids are into their writing. There are lots and lots of posts on writing here; go to the “writing with kids” button in the sidebar here, and poke around. Maybe take some time to read and let some different ideas about writing sink in. Perhaps you’ll find some aspects of what you’re currently doing that you’ll want to hold on to; maybe you’ll want to try some things differently. Give it time, and don’t feel guilty! The fact that you care so much about your kids is what matters most. I’d love to hear if you try out something new. Hang in there, Amber! Thank you so much for taking the time to respond and the wonderful ideas that you have introduced! I am definitely going to some more digging around in your site! I am excited to read, get more ideas, and even try them out with my kids! I will definitely let you know what we try and what works! I love my kids so very much and I always have plans for bigger adventures. Some work and some don’t. But you are right, homeschool is all about learning together!!!! 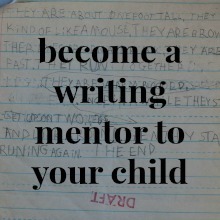 Previous post: become a writing mentor to your child, part 1: teacher or mentor?